The polka dot design inked in colorful shades would be loved by kids. The task of identifying colors is made easy as kids would point a finger on visible designer cotton diwan sets. The white backdrop would create a perfect balance of colors as they would contrast beautifully with the colorful pattern. Young home maker mothers of toddler kids believe in purchasing lively, colorful and innovatively design interiors for the space. The linens create a bright look and engaging appearances to the setup. 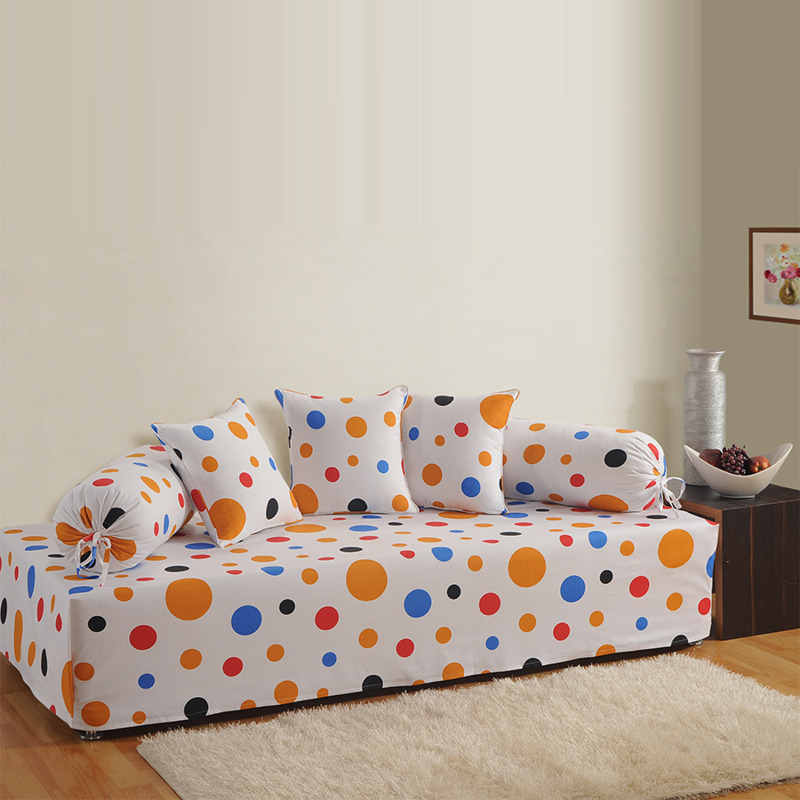 The patterns used are enthralling for kids to watch and play around. 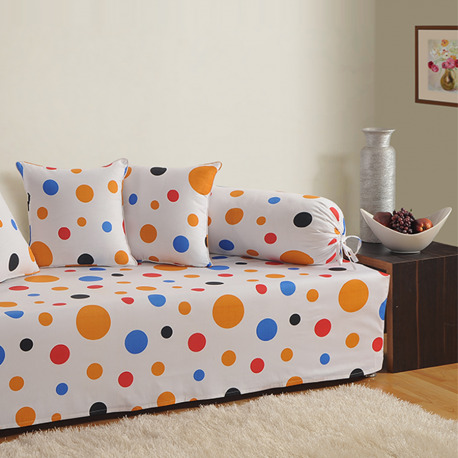 The polka dots which somehow lost its presence in the 2 decades have come back in fashion with aplomb. 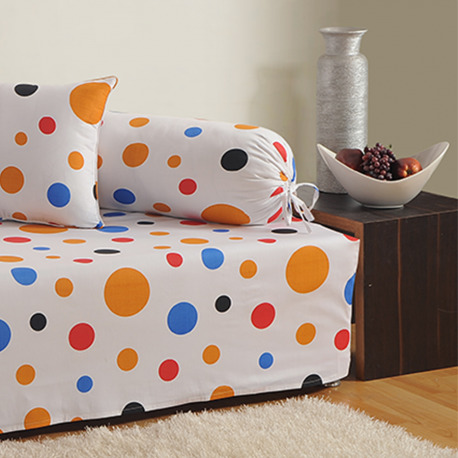 Available in varied sizes and fulfilling the demand for extra cushion and bolster covers, Swayam strives to work on special requirement of its customers which enhances its esteem and reputation as a brand in the market. Shape and size provide a perfect fit to the royal diwan furniture. Owning diwan set covers from online shopping portal of swaayam is made easier with 24×7 availability of portal services and customer care centers. The payment can be paid through secured online channels.